Rowan Hall became the scene of a metal melee when the Rowan Institute of Electrical and Electronics Engineers (IEEE) Student Branch hosted their annual “Profbots” event in the Henry Rowan Engineering Building on Friday, Dec. 1, 2017. 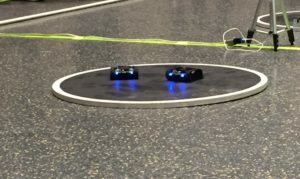 The atrium of the building was turned into an arena, where small robots were placed in a circular “ring” and were tasked with pushing each other out, much like a sumo wrestling match. 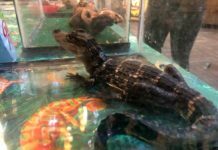 The event was said to put engineering students’ creativity to the test. In the first round of the night, students competed in a “scratch” event, where all of the robots used are built from scratch. “Kit” events, when everyone uses the same standard robot, occurred later in the evening. The bracket tournament was set up with 16 teams, all working with one robot. Two rings were set up so two matches could take place at the same time. 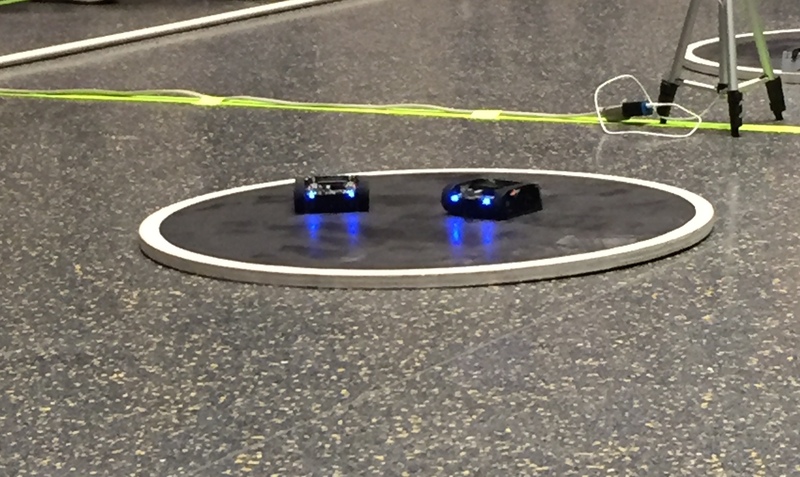 All of the robots had five second delay start times, this way the team member is given adequate time to step out of the ring. Failure to do so would result in a disqualification. Each match was a best two out of three rounds. The winners of the event, “The Dream Team,” swept virtually every match they were in. 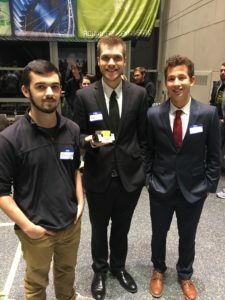 The team consisted of three electrical and computer engineering majors, sophomore Tanner Smith, junior Tomas Uribe and junior Jake Frazier. Their robot was significantly larger than most of the bots used in the tournament, which gave them the advantage to push their opponents out of the ring with ease. “Our bot weighed in at 442 grams, which was just under the limit of 500 grams,” Smith said, who along with his teammates has competed in Profbots for the last three years. 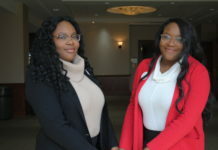 The tournament not only showcased the creativity of engineers from Rowan, but competitors from Stockton University and Glassboro High School showed what they could do as well. “The last three years, a kit bot has won every single time. 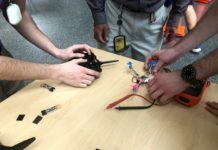 So, we used the kit bot and the example code, modified the speed and gave it more weight,” Smith said. Expanding this event beyond Rowan is a goal Nikola Kosaric, 19, an electrical and computer engineering major, wants to achieve. As for Smith and the rest of the Dream Team, they walked away with the grand prize of a $500 gift card in dominating fashion. They say they will be back for a fourth year to defend their title. Whether or not they’ll need to make any modifications to their tank of a robot remains to be seen.